We are full of creative ideas and can’t wait to get stuck in and help you with any graphic design project you may have. Weather thats a logo design and branding, a leaflet, business card or brochure design. Why not pop us an email or give us a quick call to see what we can do for you. Our next generation fabric display stands are made up of a strong, lightweight, aluminium frame and a printed fabric cover to deliver maximum impact to your next exhibition in Plymouth. Click the icon to view them on the online shop. Aaron runs the studio in Plymouth, Devon. 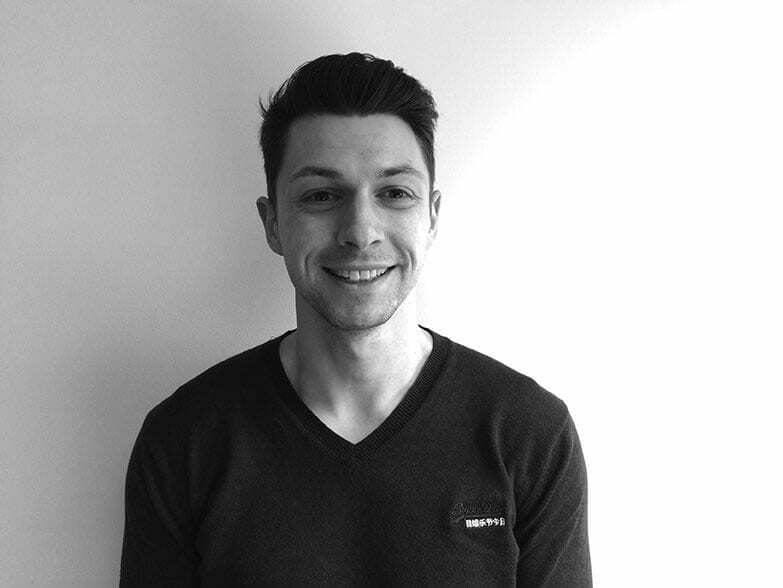 With years experience in the design industry Aaron can help you get any project up and running. He has a very methodical approach to projects making sure things are just right before they go live or we press print. He also likes to draw and paint allowing him to apply unique hand rendered elements to design work when required. When not creating logos and websites you will find Aaron at the gym working on his guns! Or he might be walking his big Alaskan Malamute dog ‘Maya’. I have used Aarons’ services at both printing.com and Identity Design for several years and would highly recommend him for commercial print and design services. Design work is excellent and delivery on time is probably eclipsed by Aarons brilliant achievements in turning round last minute leaflet design as is required sometimes running a business. I could not recommend the services of this company any more. As a professional network marketer I will always require marketing material to provide my clients with and Aaron is not only courteous, but so professional and provides second to non customer service. His guidance is always on point and I always put my faith into his skills to provide my business with nothing but the best. Look no further! We are closed from Friday the 21st of December and reopen on the 3rd of January.